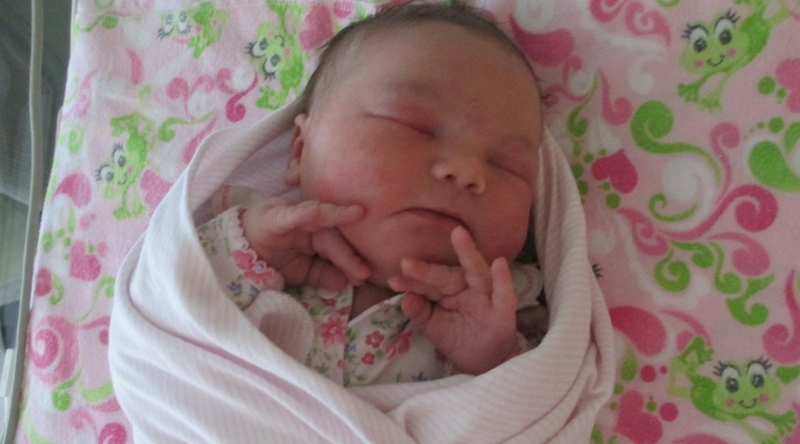 In some ways it seemed like she was just born, in other ways it seems like a very long time ago. Nevertheless, she is turning three today and that fact in itself is hard to comprehend. Three years ago I was sick with a fever and congestion and very pregnant. While I would have preferred a long night of sleep, I felt a pop right around midnight and my water broke in bed. Shuffling around in the dark, frantically looking for our hospital bags and my phone which had fallen in between the cracks in the couch, my husband and I hurried to the hospital on a freezing cold winter night. All the way there, heavy contractions rocked my body continuously and I wondered if I would make it there. It felt surreal, like one of those movies where the woman is rushing to the hospital in heavy labor and delivers in the car. Except this was no movie, this was really happening. We pulled up to the front doors of the main hospital entrance and I stepped out in my soaking wet pajama shorts, a towel wrapped around me, only to find that the front sliding glass doors were locked. My husband had already pulled away with the car to go park so I had to walk myself to the closest side door which was also….locked. Fortunately someone was walking by the hallway and opened the door for me. I hurried to the elevators and pushed the number 4 button for labor delivery only to find that the elevator did not move and I was trapped inside for what seemed like minutes, although it was only a second or two. I walked to the only other elevator I knew of meeting my husband coming in from the parking garage on the way, but the other elevator only led us up to the 4th level of the parking garage and back down to the ground level again. Finally we were able to ask someone and were directed to the new elevators on the other side of the lobby that we did not know existed before since they had remodeled the hospital since our last visit to have our first child. All this time I was dripping wet and still feverish but adrenaline must have kicked in because I hardly noticed. When we made it up to labor and delivery, I was already 7 centimeters along and our baby girl was born less than two hours later. 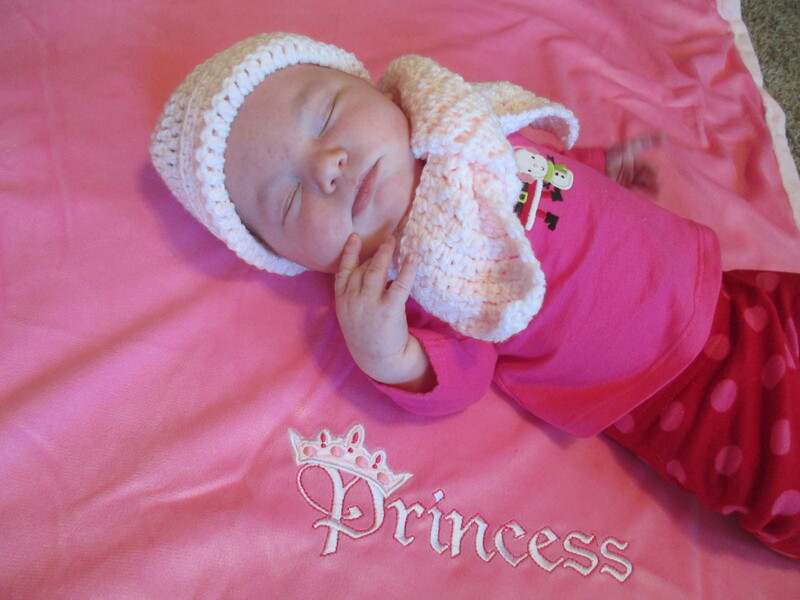 She was low on oxygen and had to be whisked off to the NICU minutes after being born. They tested her and thought she might need to be on antibiotics for a week because an infection flag was indicated. They told me to not expect to have her home for Christmas. We spent the next hours in the hospital, drifting between my room and the NICU, trying to keep our older child entertained who was 16 months old at the time and staying with us in a pack and play in the hospital room. We were all sick while we were there. 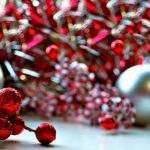 My illness trickled into my husband and oldest daughter’s systems and we were all miserably congested. By some miracle, the new baby did not catch it although we were with her constantly. 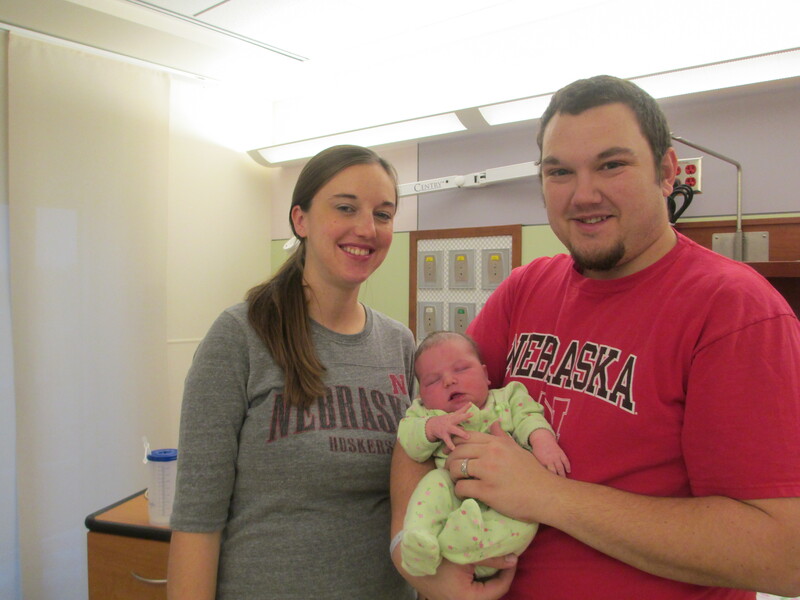 Two days later she was fine, oxygen went up to normal after the first 24 hours, no indication of pending infections and we were cleared to go home, after Santa came to hold her for a picture in the NICU. God is good. 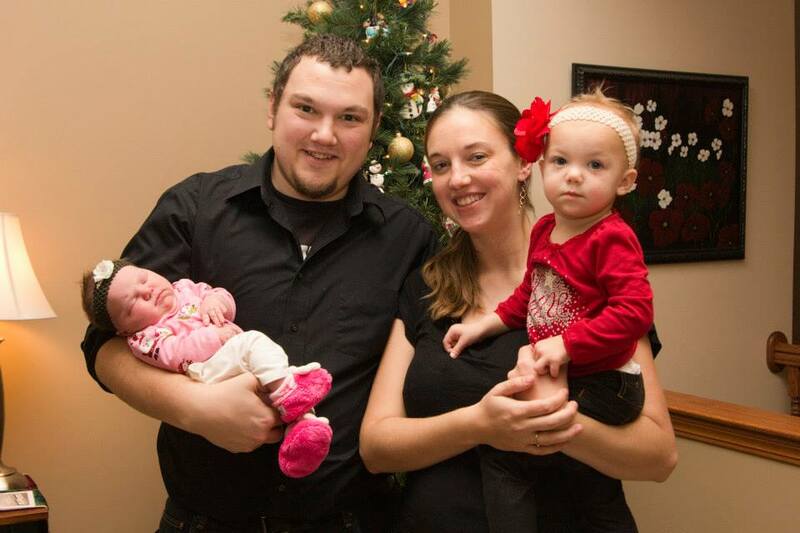 We made it home on Christmas Eve night and it was the happiest home coming we had ever had. Even though we were all still under the weather and I was just beginning one of the worst nights of my life, being up all night with a newborn while developing a terrible earache, we were so grateful to be home, all together, as a family of four. 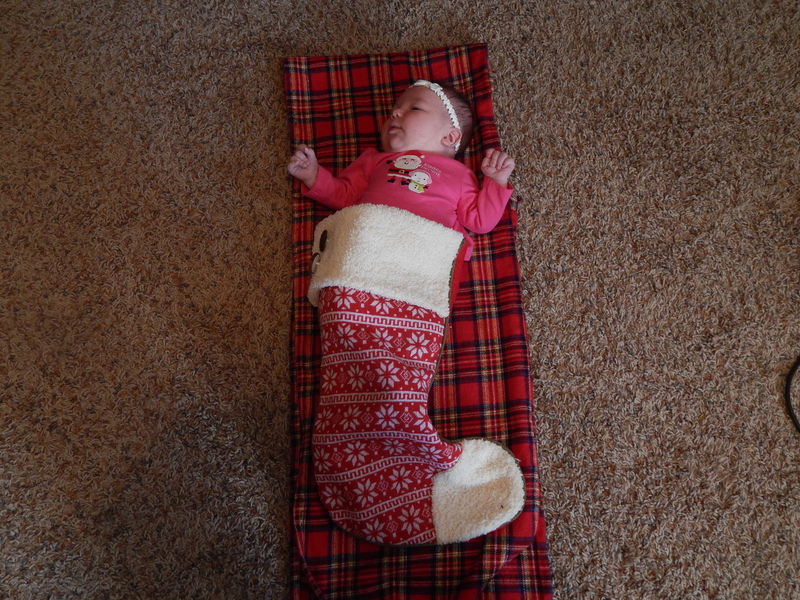 There is no greater gift than to wake up and have a tiny, sleeping, sweet-smelling bundle by your Christmas tree. This was the year our theme song was All I want for Christmas is you. 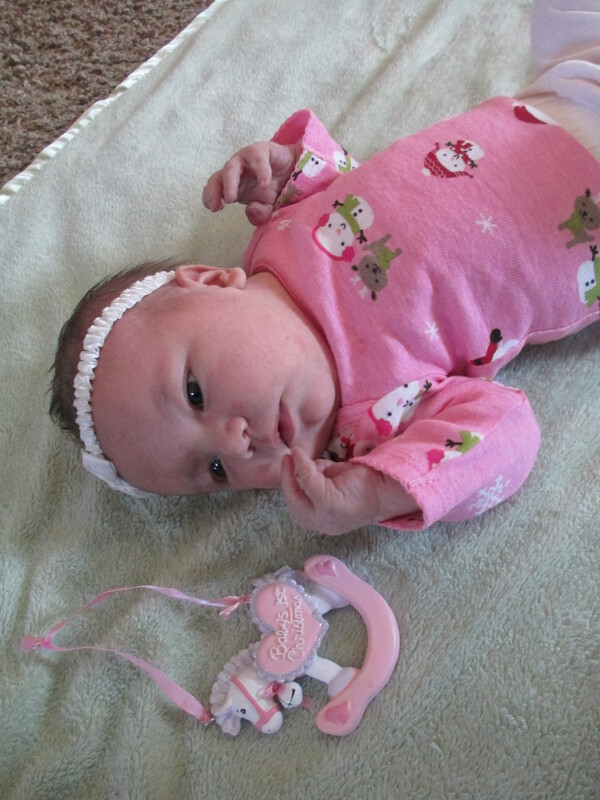 All we wanted for Christmas was the birth of our Christmas baby named Stella after the Latin word for star, adding a little twinkle to our family. And that was all the party we needed. 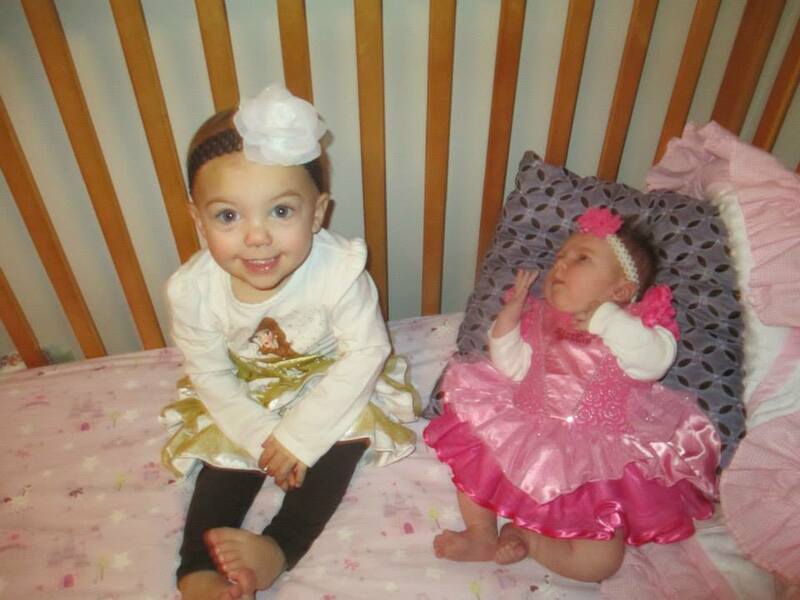 Baby Stella has grown fast, from a quiet and precious newborn to a chunky and content one year old, to a giggling and cuddling two year old, now to an active and curious three year old. 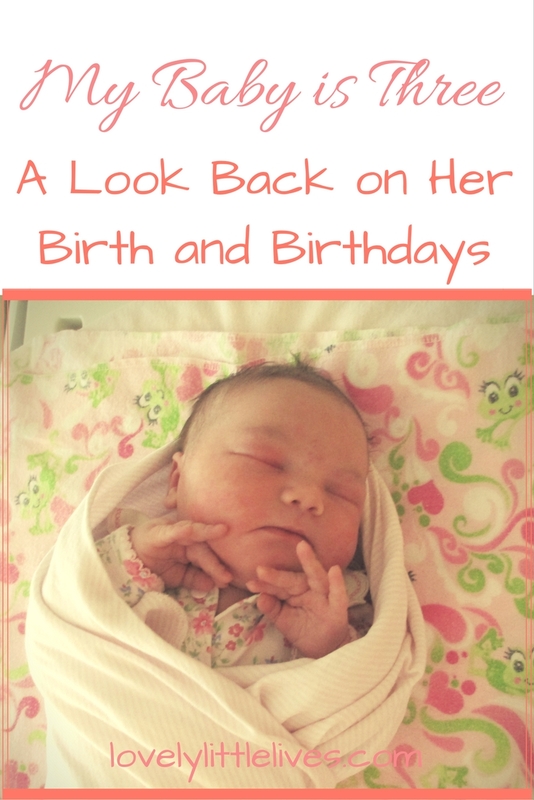 Here is a look at her birthday parties to celebrate each year of her little life. 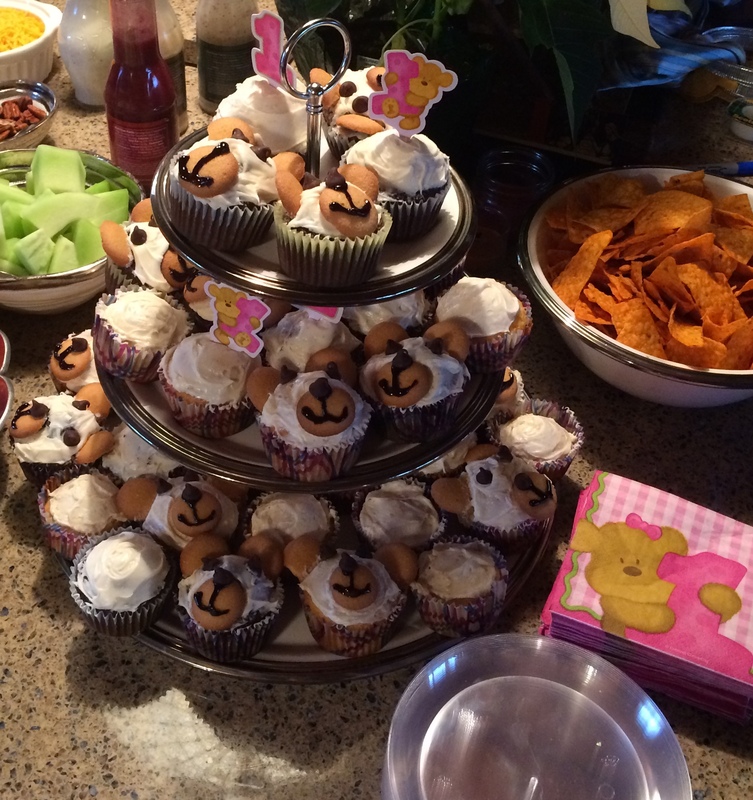 Teddy bear cupcakes made with vanilla wafers, black icing and chocolate chips for the bear faces. Find the inspiration here. Matching pink teddy bear napkins, paper plates and cupcake picks. Coloring and wearing teddy bear masks. Here is one that is similar to what we used. Teddy bear head band ears. Pin the nose on the bear. 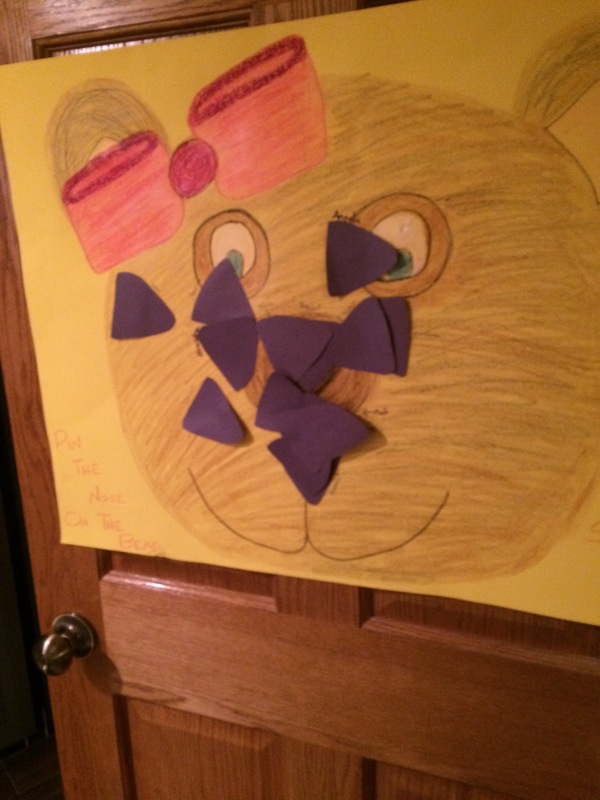 I drew a bear head on poster board and cut out black construction paper triangles for the noses. More teddy bear game ideas are here. 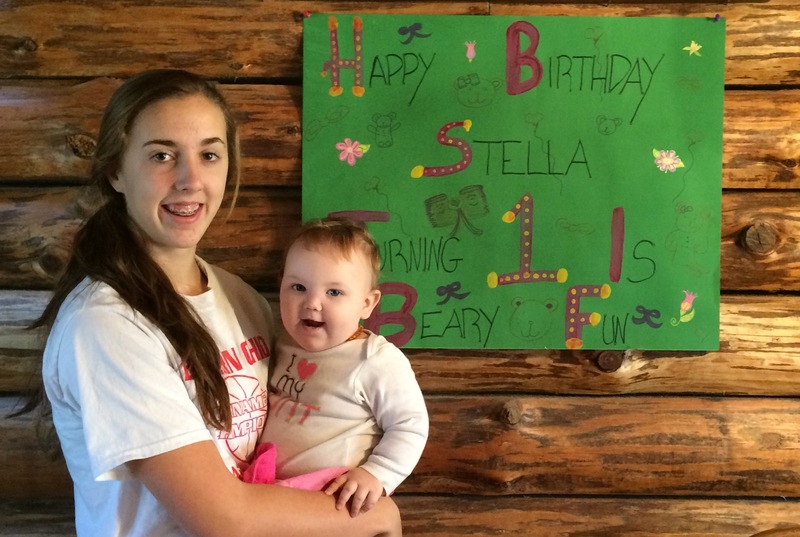 Decorated with teddy bear and hair bow drawings with the words: Happy Birthday Stella, Turning 1 is beary fun! Toy teddy bears, bubbles, and baby photos. (All items that I collected from around the house). Food themed to match beloved children’s books. 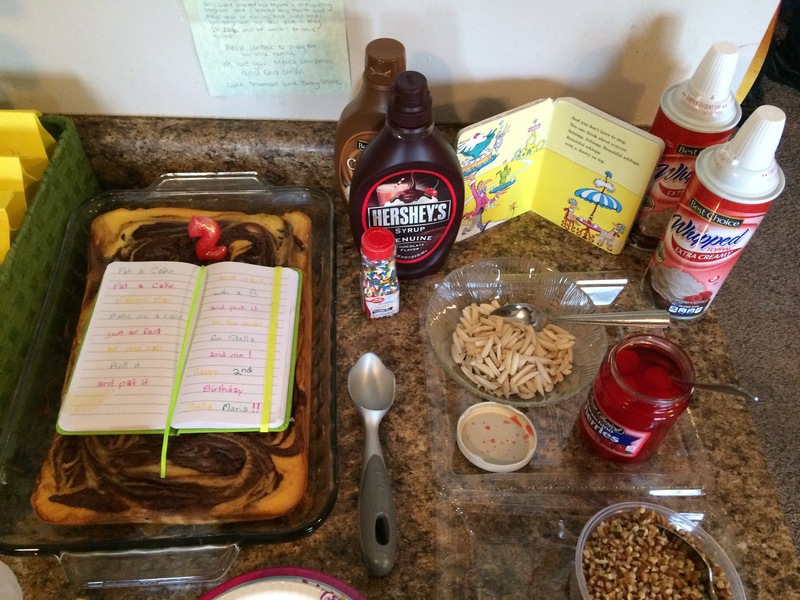 + Pat-A-Cake cake topped with a handwritten Pat-A-Cake rhyme with Stella’s name in it. 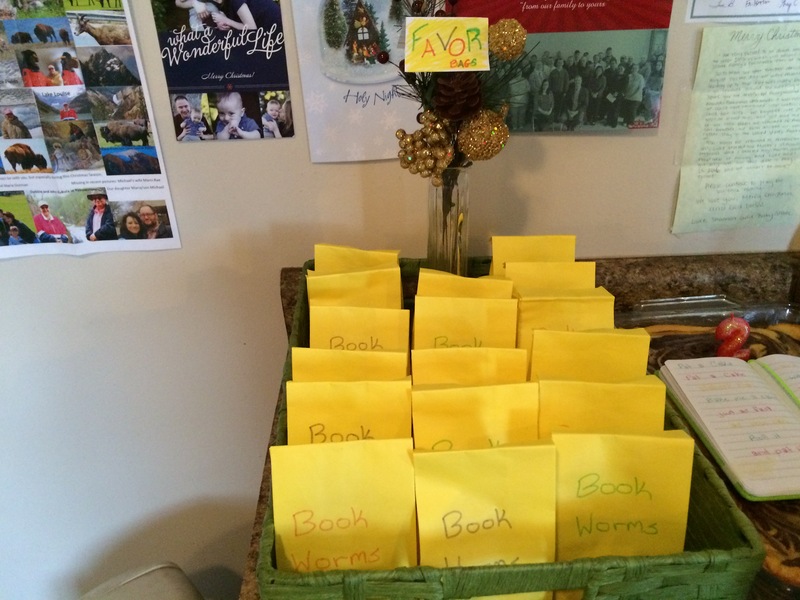 Bookworms “gummy worms” in paper treat bags. List of all the guests’ favorite books. 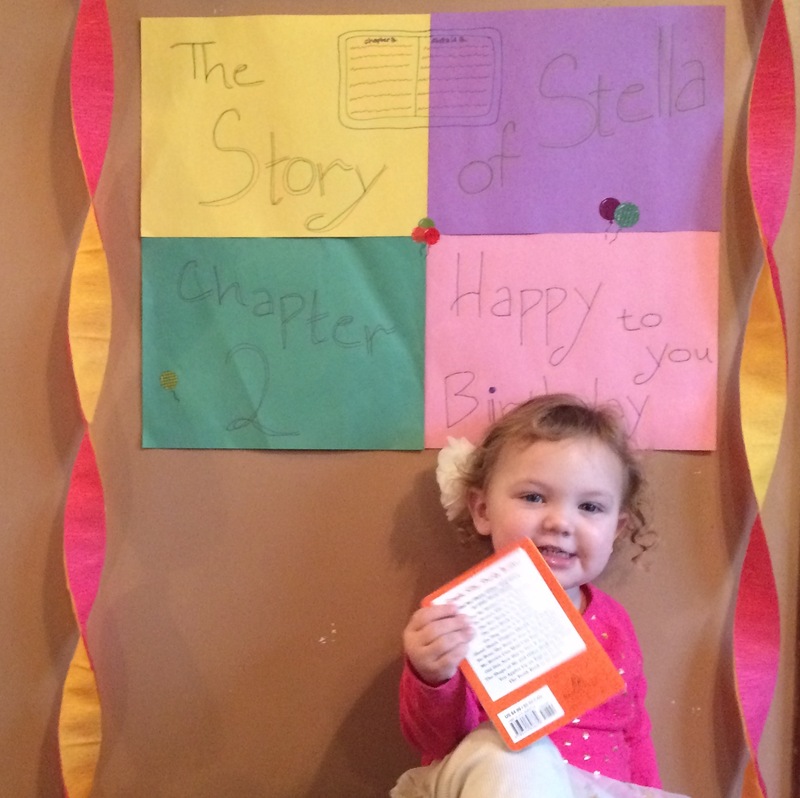 Books, flowers, balloons, and streamers with a sign that read: Story of Stella Chapter 2. Stacks of picture books with balloons tied around them with ribbon. 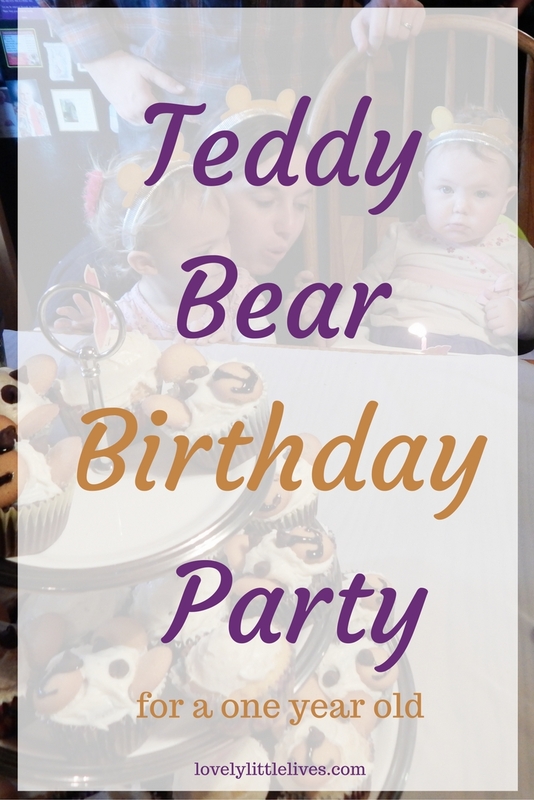 More inspiration for these and other parties in my Children’s Birthday Party Board. 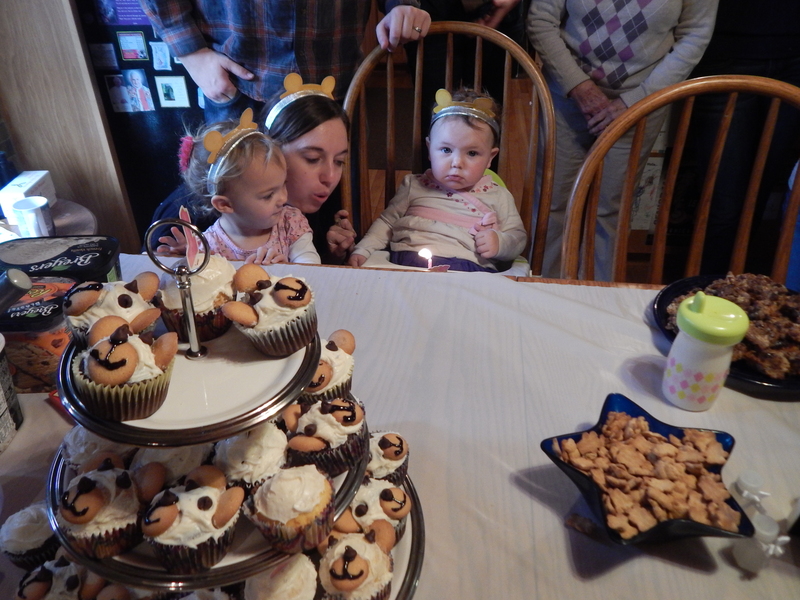 Now we are already onto birthday number 3 and this one included quite the party! 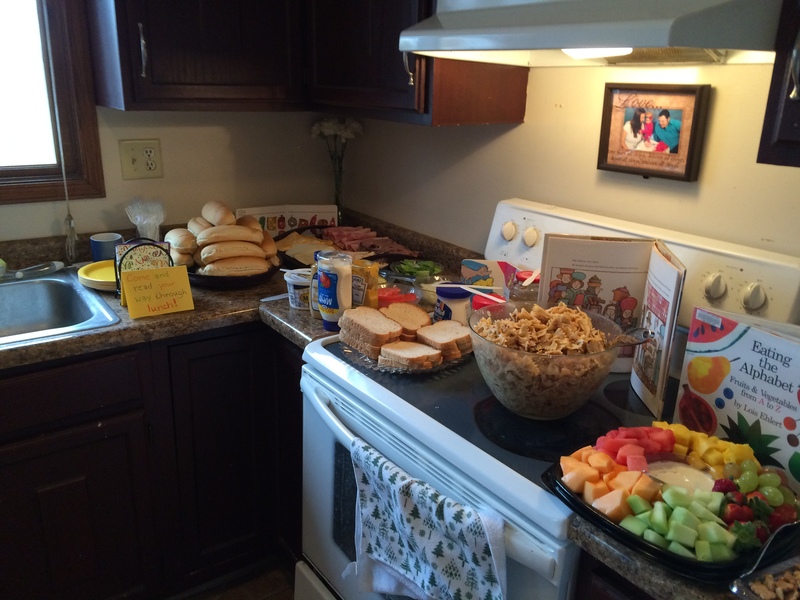 The theme of choice was Frozen and the decor, food, and fun were a step above my previous parties. 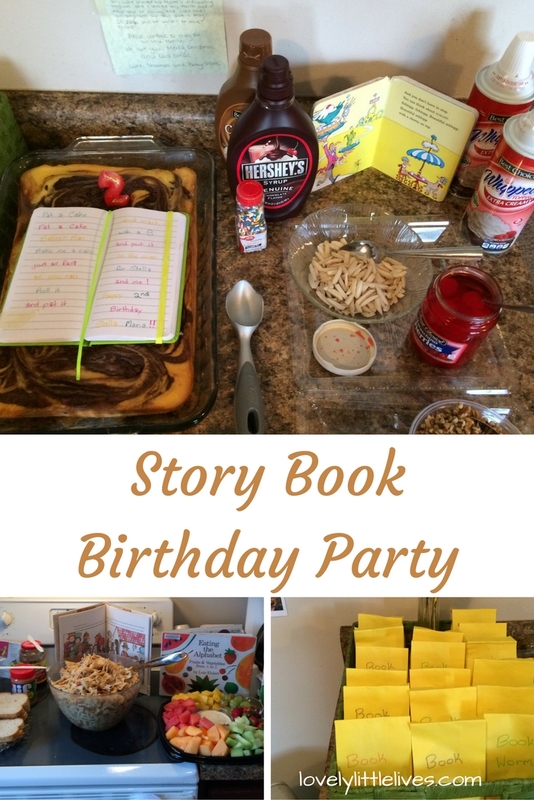 Speaking of parties, you can grab my free party planning checklist below. To quote Olaf, “Stella you are worth melting for.” Here’s to being the cutest, sweetest three year old we know.